NEW THIS YEAR - ROW BY ROW JUNIOR! 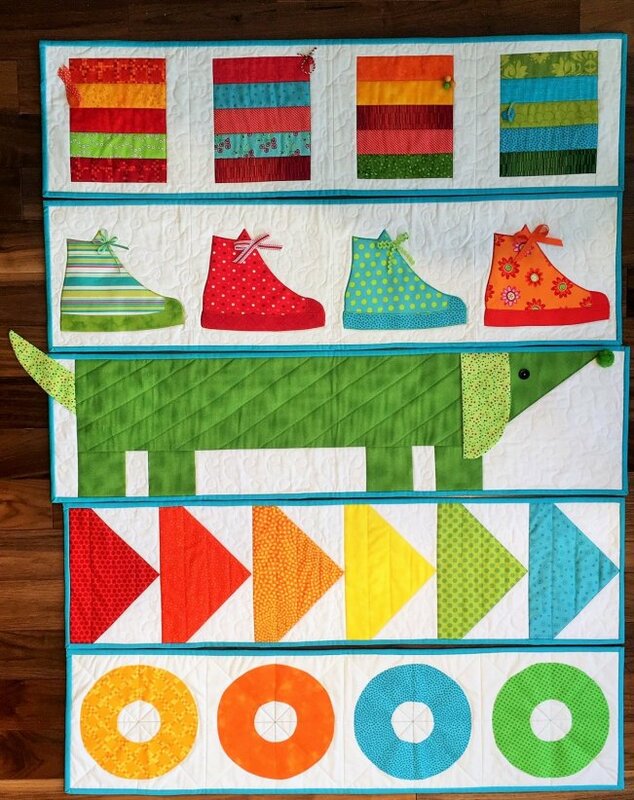 Make these super-fun Row by Row Junior quilts from our exclusive kits! Summer 2017 will be alive with learning when kids hit the road to participate in Row by Row Experience’s brand new program, Row by Row Junior. It’s designed for kids ages 6 to 14. They travel along with an adult, collect free row patterns designed just for them to make, and learn to sew with family help. Row by Row Junior follows the same time schedule, June 21 through Labor Day. It has the same basic guidelines for registered brick and mortar quilt shops. Like adult Row by Row, children need to be present in the shop to get the free pattern handout, but anyone can buy a kit. Grandmothers can buy them as Christmas presents. Travelling family members can bring them home as gifts or souvenirs. We want to celebrate any sewing effort not just quilting. We’ll have red “I Made This” ribbons for the first five kids who return to a shop with something they’ve made using a Row by Row Junior pattern.